The Office of Residential Services has a partnership with Places4Students to service the off-campus community. The Office of Residential Services does not make recommendations to students but encourages them to use the following resources to find a house, provide landlord feedback or search for roommates. 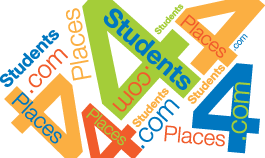 Places4Students is an Off-Campus Housing Service to search for housing accommodations or find roommates. This service is offered free to Lehigh students but Lehigh does not endorse, sponsor or vet properties associated with this service. All students are encouraged to use these resources in addition to our website when searching for appropriate accommodations.